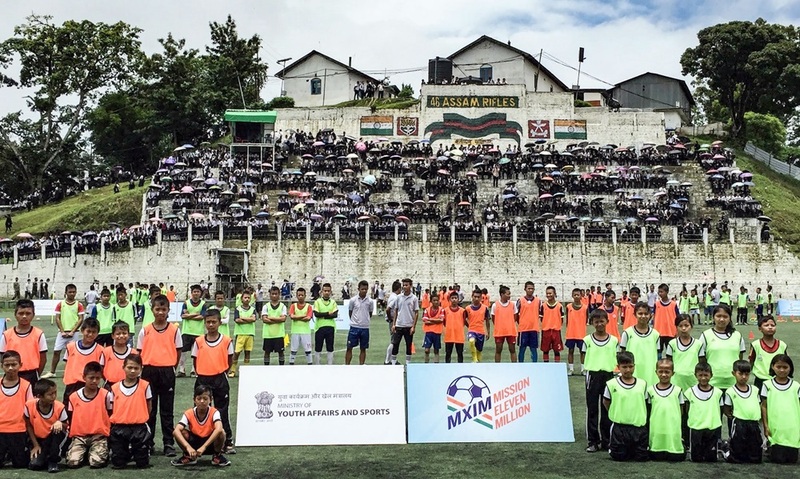 Demonstrating the love, the north-east region of the country holds for the beautiful game of football, more than 7,500 children from close to a hundred schools participated in the Mission XI Million festival at Aizawl, Mizoram. Hon’ble Minister of State for Sports and Youth Affairs, Shri Vijay Goel was present at the festival and commented, “It is an honour for me to come and attend another Mission XI Million Festival. Carrying forward the PM’s vision to make football the sport of choice in our country, the legacy programme run by the Ministry of Youth Affairs and Sports has already reached 8000 schools and over 5 million children. It was apt that we finally reached the beautiful city of Aizawl, one which has established itself as a sporting hub and is home to some of the best footballing talent in the country. 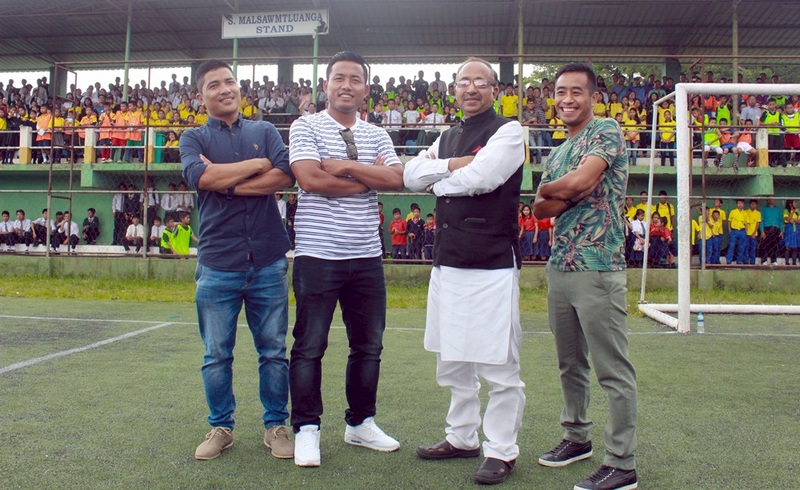 The passion that people from the state of Mizoram have for the beautiful game is enviable and I can assure that we will keep working on bettering the facilities here in the near future”. Children at the festival were seen engaging in a variety of football activities, from playing small-sided games to practicing techniques such as dribbling and close control. They got a chance to demonstrate their abilities in front of Indian Football Team players Jeje Lalpekhlua, Shylo Malsawmtluanga and Robert Lalthlamuana. Expressing his delight at the reception of the festival, Tournament Director of the Local Organising Committee for FIFA U-17 World Cup, Javier Ceppi said, “We are very happy with the response in Aizawl, with almost 7,500 kids coming to the MXIM Festival. It is an area known because of its passion for football and we are sure that there will be lots of talent identified here”. A legacy project of the FIFA U-17 World Cup India 2017, the MXIM Festival in Mizoram is another milestone in the journey of the project. Mission XI Million will get 11 million children in touch with football before the FIFA U-17 World Cup begins in October later this year.